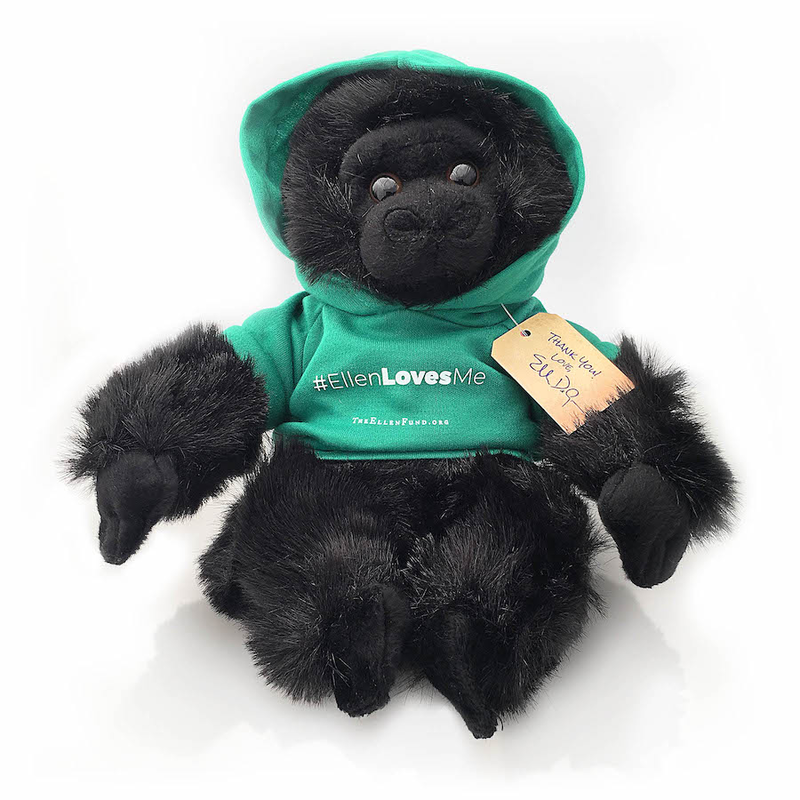 Support gorillas with $500+ and Ellen will send you her #EllenLovesMe limited edition gorilla! PLUS 25 donors of ANY amount will win one also! Ellen Loves Gorillas. And Ellen Loves You! Support gorillas with a donation to The Ellen Fund of $500 or more before Jan 1, 2019, and we'll send you one of these limited edition plushie gorillas with green hoodie and printed thank you tag! IMPORTANT: We need to be able to ship these to you. So if your billing address is different than your mailing address, please send us an email at info@ellendegenereswildlifefund.org so we can make sure your sweet gorilla makes it to you, safe and sound. Thanks Ellen for giving us the chance to help these beautiful Animals. All animals are beautiful. Be Vegetarian. Be kind to all creatures. Love you!